Commercialized with perfect grade seeking the ultimate expression. 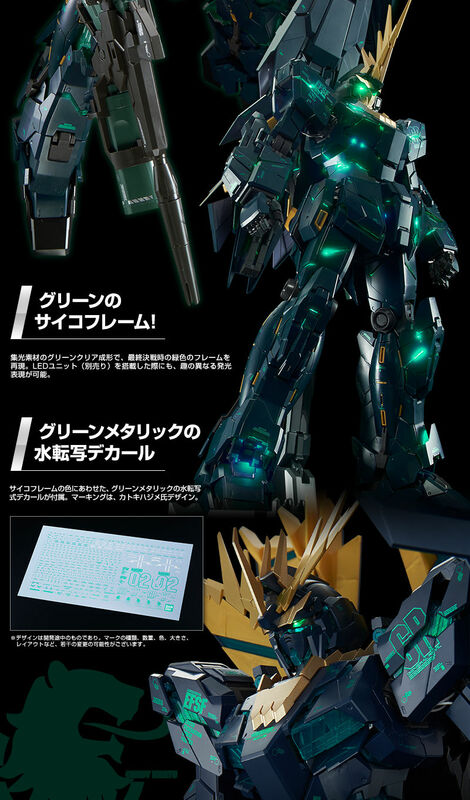 Green psycho frame is reproduced by green clear molding, green metal metallic water transfer type decal is attached. ● Psycho Frame of Green! 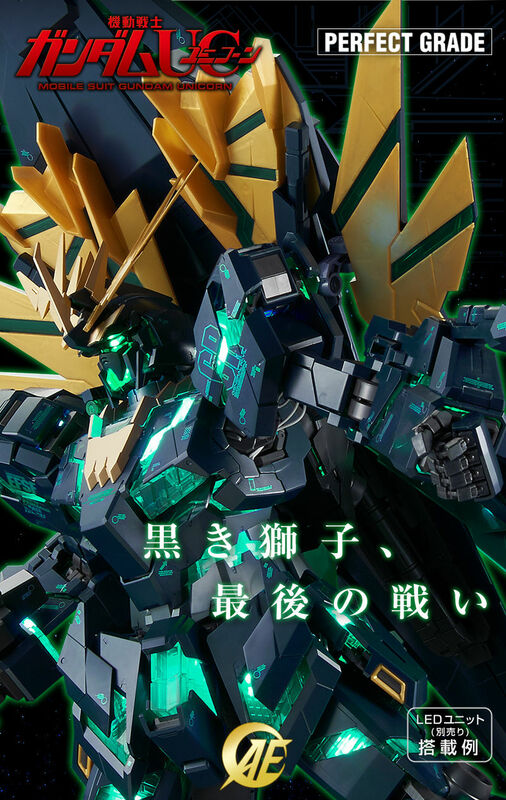 The green clear molding of converging material reproduces the green frame at the final battle. Even when equipped with an LED unit (optional), different lighting expressions are possible. - Decal of green metallic is attached! 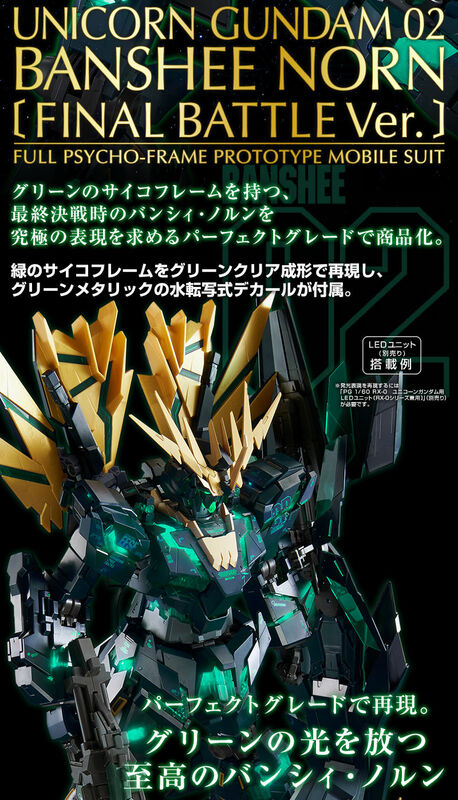 A water transfer type decal of green metallic is attached according to the color of the psycho frame. Marking is designed by Mr. Kataki Hajime. Adopted the design drawn up by Mr. Kataki Hajime on "PG 1/60 Expansion Unit Armed Armor VN / BS". NT-D activation! Let's enjoy light expression of psycho frame with the LED unit! 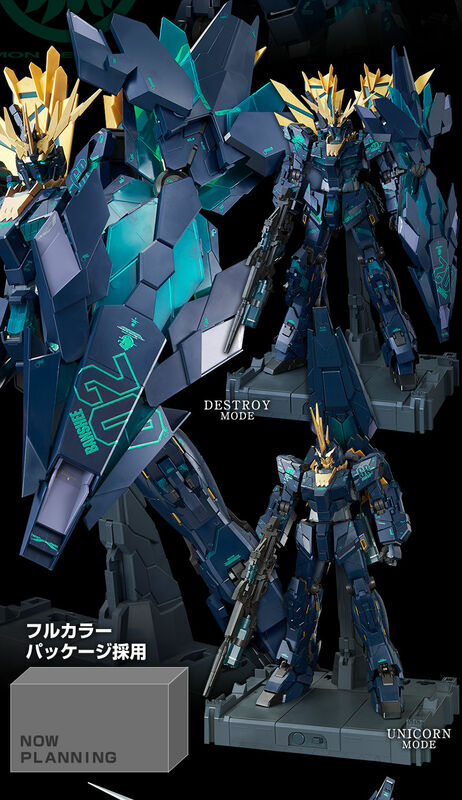 It is on sale well at the shops at the Gunpla Handling Store nationwide! 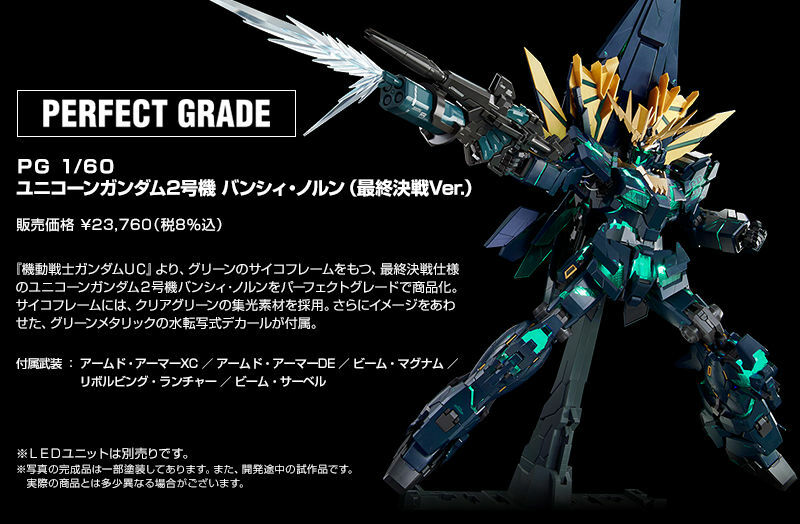 In conjunction with this product launch, premium Bandai is also accepting application for resale! ※ There are limited numbers.